Dedicate the 3rd (Fri) to wine at some of the top wineries in the area. And it doesn't end there: take in the views from Golden Gate Bridge, don't miss a visit to Golden Gate Park, take in the awesome beauty at Twin Peaks, and see the interesting displays at Exploratorium. 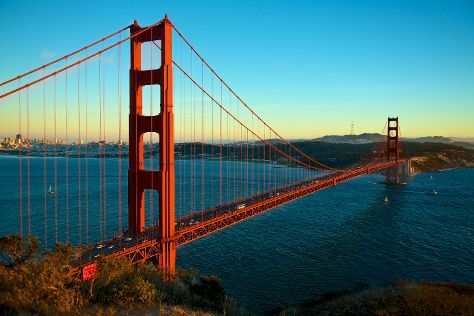 For where to stay, other places to visit, traveler tips, and tourist information, read San Francisco journey planning website . If you are flying in from Australia, the closest major airports are San Francisco International Airport, Metropolitan Oakland International Airport and Norman Y. Mineta San Jose International Airport. In November, daytime highs in San Francisco are 20°C, while nighttime lows are 12°C. Wrap up your sightseeing on the 4th (Sat) early enough to travel back home.